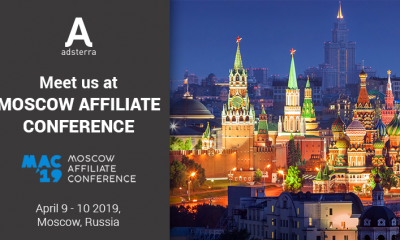 Adsterra keeps pace with the evolution of digital marketing industry and new regulation policies. 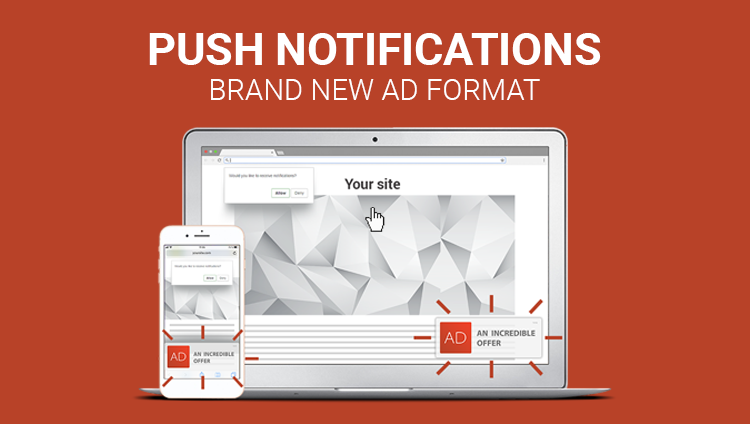 So welcome our brand new ad format – browser push notifications! What is a web browser push notification? The push notification itself is a clickable message that is sent to the desktop or mobile devices of users, subscribed to browser push notifications. It is sent by the browser, so this ad format is working even when a user left publisher’s website. Dear publishers, keep in mind, that push notifications are 6 times more profitable on HTTPS certificate websites! .. nonintrusive. Push messages are sent only to those users, who have agreed to subscribe. The user can decline the subscription and be free to go. … Google compliant. Push notifications go along with Better Ads standards and Google Chrome 64 browser requirements. … not affecting publisher’s profit from other ad formats as web browser push messages work outside of website body. … SEO-safe. Codes for browser push notifications won’t affect website performance. … providing publishers with lifelong profit as long there are users in the subscription list. … easily integrated and work both on mobile and desktop devices of users, agreed to the subscription. Push notifications are compliant with Chrome, Firefox browsers, and Android Mobile Devices. … a completely new way to monetize and advertise! Publishers collect subscribers and receive extra revenue while saving the profit from other ad formats on their sites. Advertisers address their ad campaigns straight to the target audience that is truly engaged. To start working with browser push notifications please contact your personal manager.